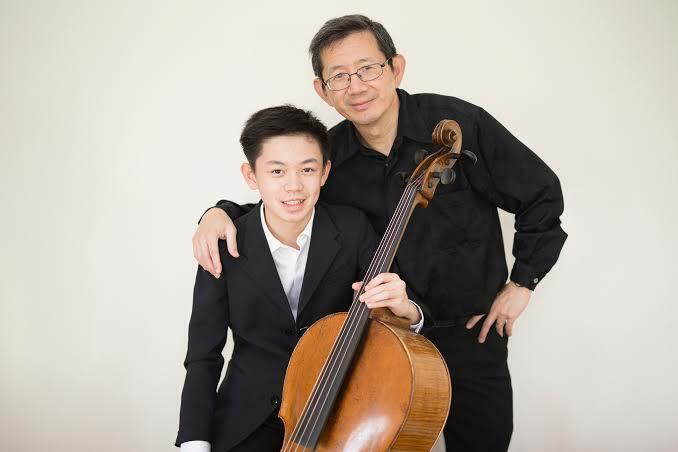 Prodigious young cellist Benett Tsai joins forces with his father, pianist Joshua Tsai, to present a programme of some of the most important and demanding works for the cello. As winner of many young performers competitions, Benett is emerging as one of Australia’s leading young cellists, and this will be a very exciting opportunity to hear Benett in recital. The programme includes a J.S. Bach Suite for solo cello, the Second Cello Sonata by Johannes Brahms and Elgar’s Cello Concerto. Benett began learning the cello from the age of 5, with his uncle Thomas Tsai. In 2016, he became the youngest winner of the MBS Young Virtuoso Award at the State and National level. Described as ‘dazzling and assured in his charismatic heartfelt playing which was full of fluid intensity’ (Sydney Arts Guide), Benett Tsai debuted at the age of 13 with the Willoughby Symphony Orchestra under Dr Nicholas Milton, and the North Sydney Symphony Orchestra under Steven Hillinger in 2017. In the same year, he was named the Grand Prize Winner at the ENKOR International Music Competition (String Section) and the Overall Prize Winner at the NSW Secondary Schools Concerto Competition. Other first prizes include the 2015 Australian Concerto & Vocal Competition (Young Performer) and Sydney Eisteddfod’s 2015 Alf & Pearl Pollard Award for Performance Excellence. Benett also studies with eminent teacher Susan Blake and renowned cello virtuoso Li Wei Qin. He is currently a Year 9 student at the Sydney Grammar School on a full music scholarship. He obtained his AMEB LMusA with distinction in 2016.